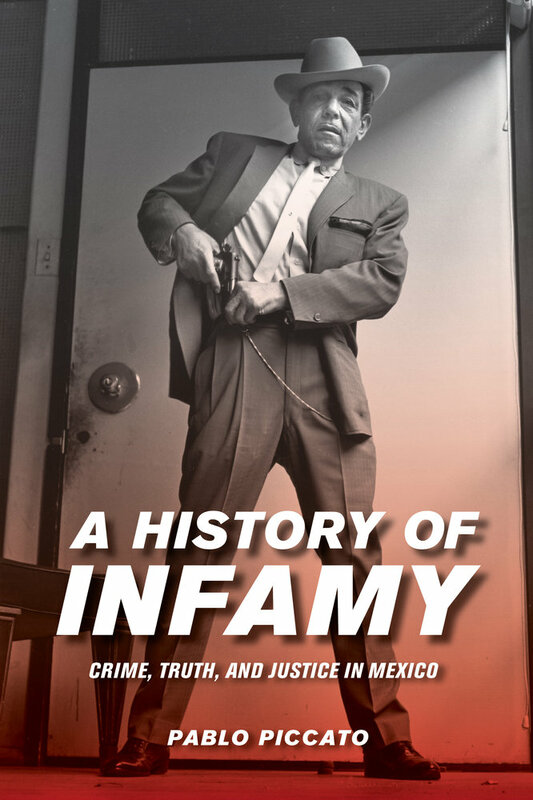 A History of Infamy explores the broken nexus between crime, justice, and truth in mid-twentieth-century Mexico. Faced with the violence and impunity that defined politics, policing, and the judicial system in post-revolutionary times, Mexicans sought truth and justice outside state institutions. During this period, criminal news and crime fiction flourished. Civil society’s search for truth and justice led, paradoxically, to the normalization of extrajudicial violence and neglect of the rights of victims. As Pablo Piccato demonstrates, ordinary people in Mexico have made crime and punishment central concerns of the public sphere during the last century, and in doing so have shaped crime and violence in our times. Pablo Piccato teaches Latin American history at Columbia University. He studied at the Universidad Nacional Autónoma de México and the University of Texas at Austin. His books include City of Suspects: Crime in Mexico City, 1900–1931 and The Tyranny of Opinion: Honor and the Construction of the Mexican Public Sphere.